Plumbers in the Workyard network can handle projects of all sizes and types including remodels, house flips, new homes, multi unit residential, high end residential, and commercial. We have plumbers at the journeyman and master level and will help you find an individual or crew that’s right for your project. 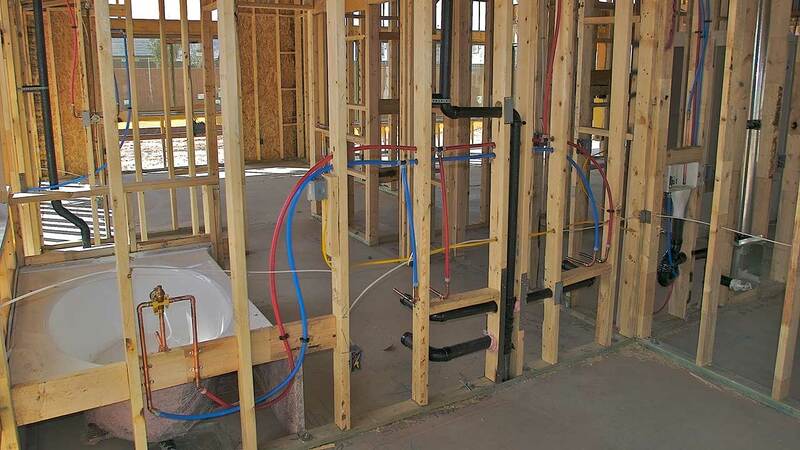 Whether you need rough-in plumbing for a new construction project or need pipes replaced for a remodel, we’ll connect you with the help you need. When you go to hire a plumbing contractor on Workyard, you can review their qualifications, past projects and reviews from other contractors to ensure they are qualified for the job. Since you can post detailed specifications for your job, you can expect to receive inquiries from high quality plumbers with relevant experience in under 24 hours. From large scale installations to small repairs, we’ve got you covered.